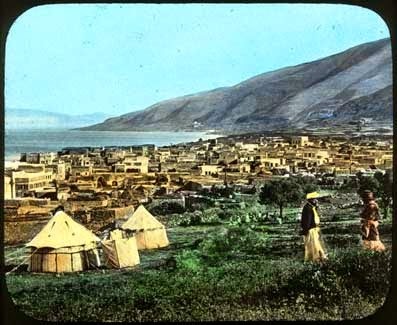 The Presbyterian Church Archives Research Centre holds a fascinating collection of 144 glass Lantern slides of various scenes from the Holy Land. The majority appear to have been taken in the latter years of the 19th century. 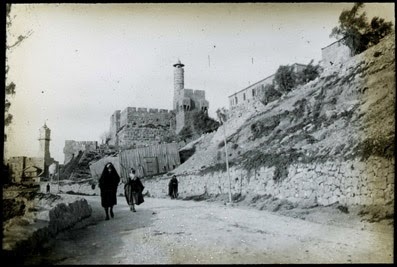 in 1908 and torn down in 1922, enabling the dating of the picture. 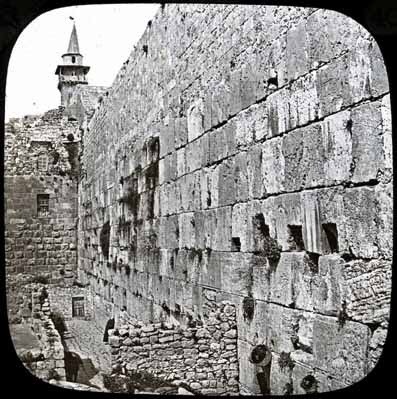 The picture of the Western Wall is from the Presbyterian Research Centre, but it also appeared in the Israel Daily Picture two years ago. 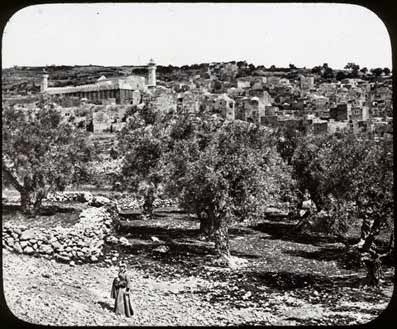 It was taken by Frank Mason Good in 1866/67 and published by the Palestine Exploration Fund. 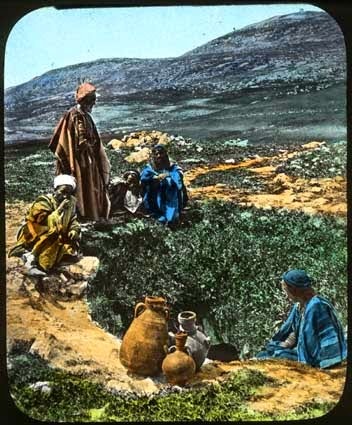 Note in both photos the single figure praying and the buckets (?) hanging on the wall. Click on captions to view the original photographs.